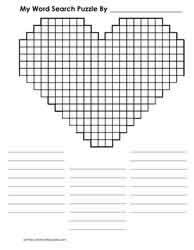 Kids love to create their own word search puzzles. 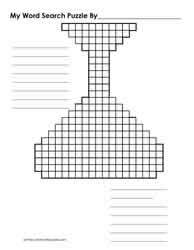 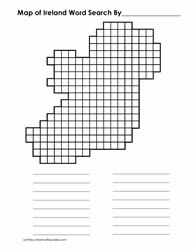 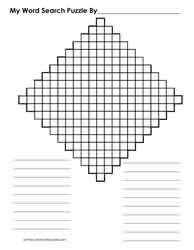 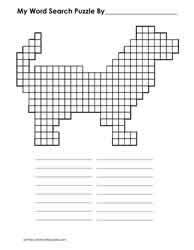 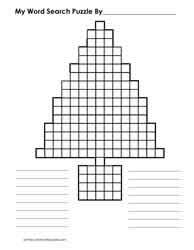 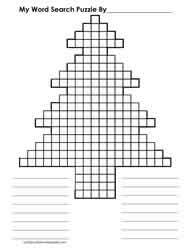 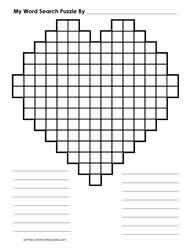 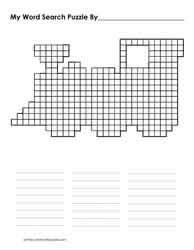 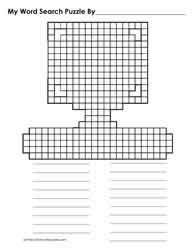 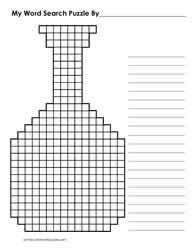 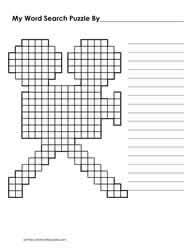 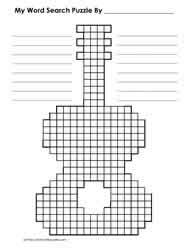 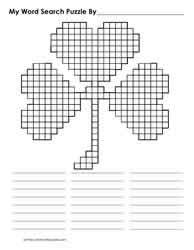 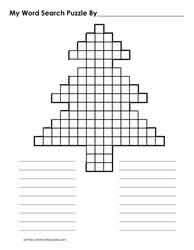 Free blank word search puzzles include word search grids shaped like cars, trains, hearts (for Valentine's Day), clover leafs (for St. Patrick's Day), question marks, diamonds, robots or people, guitar, circles, trees (including a Christmas tree grid), dog, fish,and bottle shaped grid. 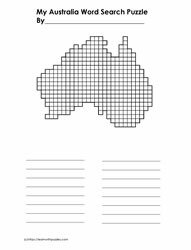 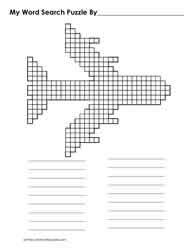 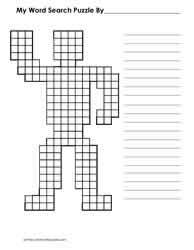 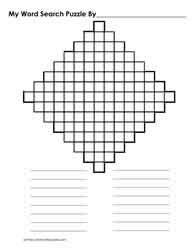 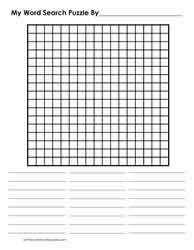 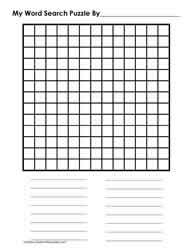 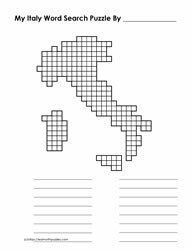 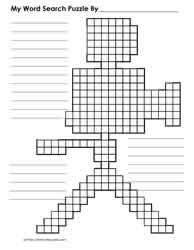 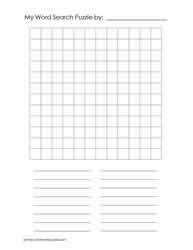 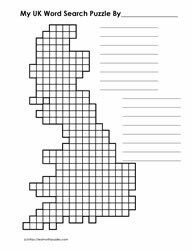 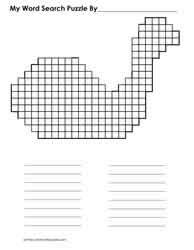 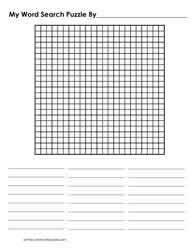 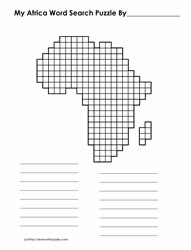 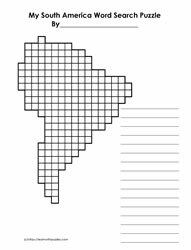 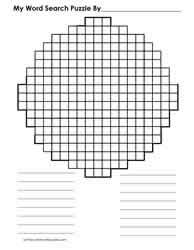 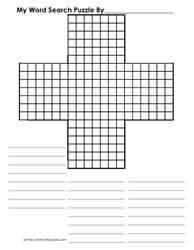 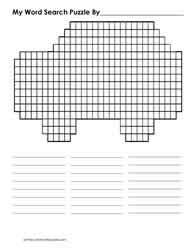 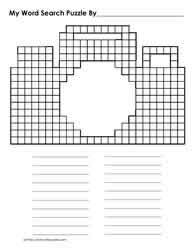 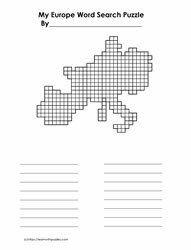 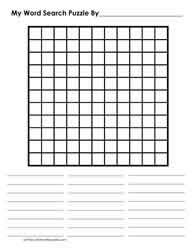 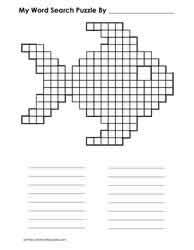 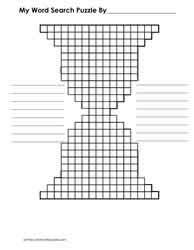 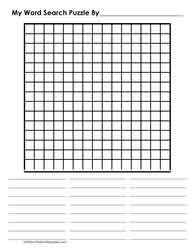 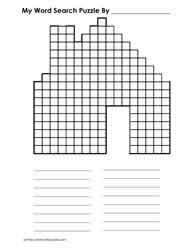 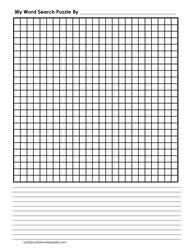 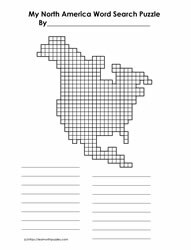 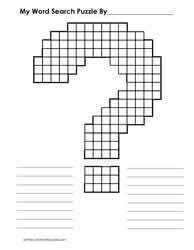 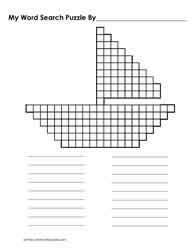 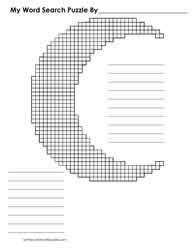 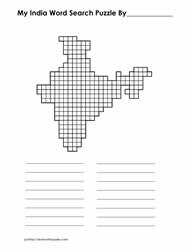 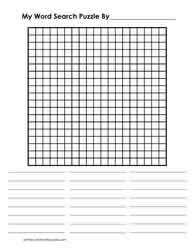 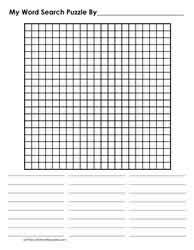 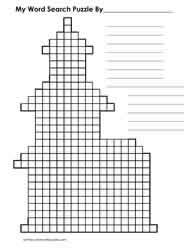 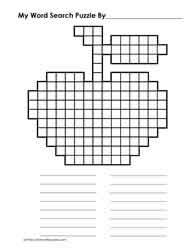 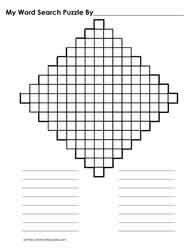 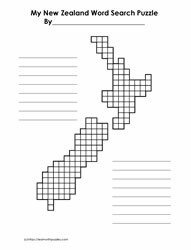 There are also a couple of square or rectangular shaped blank word search grids of various sizes to help with differentiated instruction in the classroom.